In a press release confirmed with more news this week, BYD the Chinese car brand has partnered VeChain and DNV GL to help tackle carbon emissions imbalance. BYD is the world’s best-selling plug-in Electric car manufacturer. In the press release, BYD states that, after a series of proof-of-concepts, it will be launching a carbon banking solution for their car models. The solution will use VeChain’s ledger to record automobile life cycle. This management solution covers almost every area of the automobile industry. This automobile lifecycle management solution will be the first enterprise-level application of its kind. It will move trains, cars, buses, and other vehicles onto a public distributed ledger platform. The carbon banking solution will have a system in place that will reward vehicle operators using carbon credits. The rewards will be based on the vehicles’’ driving performance and carbon reduction. The solution will provide the necessary tools to build a blockchain based ecosystem that aims to reduce the global carbon footprint. VeChain’s Thor blockchain will be utilized to record each footprint captured. This information will be available to all clients who have an interest in participating in the initiative. With the carbon banking solution, companies will have access to a platform that will ease data analysis, management, and sharing. Recently, VeChain partnered with the People’s Insurance Company of China (PICC) to create a solution which according to the insurance company creates new value for their business. 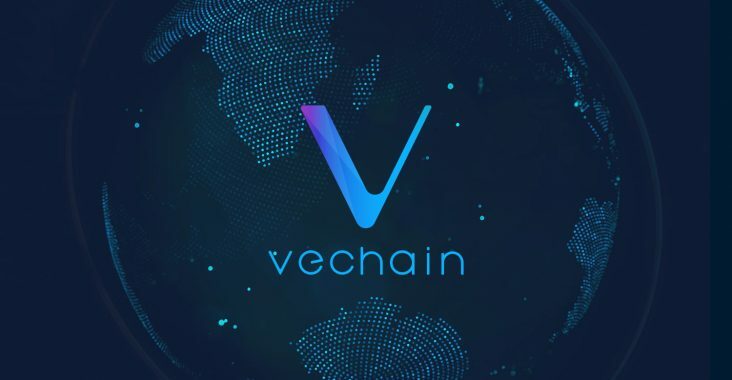 The VeChain blockchain platform was launched in 2015. It’s headquartered in Shanghai and has five satellite offices across the world. With several partnerships in China and abroad, Vechian is aiming to be the most prominent enterprise-focused blockchain platform. Currently, the VET token is trading around $.015, after seeing a large fall from a 1:100 token split from the original VEN token. VET value is based off its THOR production, set at .00042 per VET per day. THOR tokens are still not trading at significant volumes nor being consumed by partners, so the coins are hard to properly value. Still, the partnerships established by Vechain should help boost interest, if not also price.